A consignment of 796 lost Chinese artworks and artifacts arrived in Beijing from Milan in the early hours of Wednesday following Italy's decision to return the missing cultural relics in the largest such international repatriation in over two decades, the Chinese Foreign Ministry confirmed. 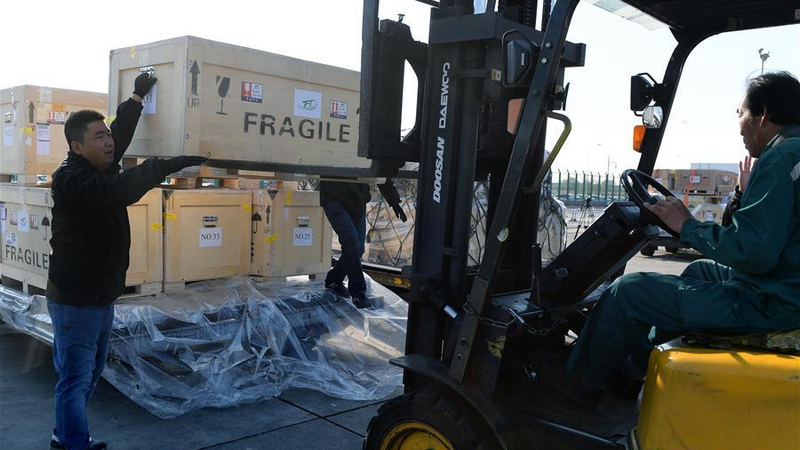 "Indeed, those lost Chinese cultural items returned by Italy have already arrived in Beijing early this morning. They bear our nation's memories and have been abroad for many years. 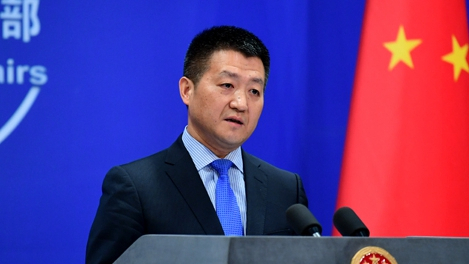 Now we are glad that they finally come home," Chinese Foreign Ministry Spokesperson Lu Kang told reporters. 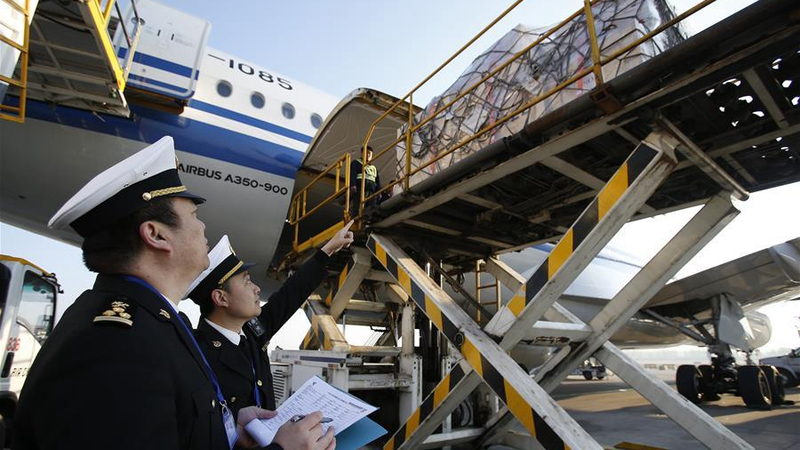 The consignment from Italy was carried by an Air China flight that arrived at the Beijing International Airport at 6:54 a.m. on Wednesday after an eight-hour flight from Milan, the Xinhua News Agency reported. "As a Chinese, I am so proud to witness the return of these relics after years of effort," Xinhua quoted Zhang Yanmin with the Beijing International Airport. This is the largest such return of lost Chinese cultural relics from abroad since 1998, when about 3,000 smuggled artifacts were returned from Britain. "I'd like to specifically mention that this is the biggest return in the past almost 20 years. It is a milestone of China-Italy cooperation on cultural heritage and a new model of international cooperation for the repatriation of lost cultural items. China highly commends that," Lu said. Italy's decision was announced during Chinese President Xi Jinping's visit to Rome last month. "As you may recall, on March 23, President Xi Jinping and [Italian] Prime Minister Giuseppe Conte witnessed the exchange of certificates for the repatriation of the Chinese cultural artworks and artifacts between representatives of China and Italy," the spokesperson reminded. "China's National Museum will host a special exhibition of these valuable items," Lu said as he encouraged people to attend the exhibition. "China and Italy, both ancient civilizations and home to a large number of cultural artifacts, have long been cooperating in the preservation and restoration of cultural items and the fight against artifact-related crimes. We are ready to enhance communication and cooperation for better protection and preservation of global cultural heritage," he added. How were the relics were? According to several media reports, the ancient Chinese works of art, thought to have been smuggled illegally out of China, were first noticed in a local auction market in 2007 by the Carabinieri Art Squad, an Italian police unit responsible for combating cultural relics-related crimes. The squad suspected the relics to be stolen from archaeological sites. A domestic judicial trial ensued. China's National Cultural Heritage Administration (NCHA), on finding out about the case, promptly contacted its Italian counterpart to identify the items and negotiate the process of their repatriation. After a decade of judicial procedure, an Italian court finally ruled this year that the 796 artifacts must be returned to China, which led to the landmark exchange of certificates between Xi and Conte last month. 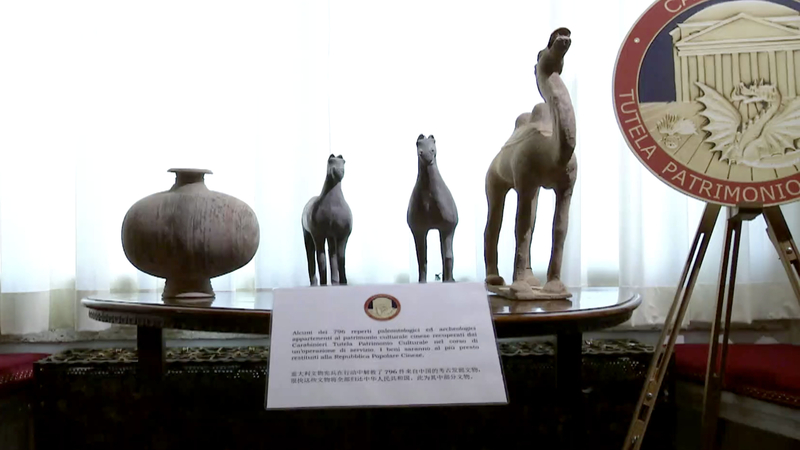 "It's a great honor for us to return these cultural relics to China," Francesco Provenza, commander of Gendarmerie in Monza for Cultural Heritage Protection told CGTN in Milan as he oversaw the dispatch of the consignment on Tuesday night. "This is a starting point for an international collaboration that allows us to fight against illegal smuggling and illicit excavation of archaeological relics. 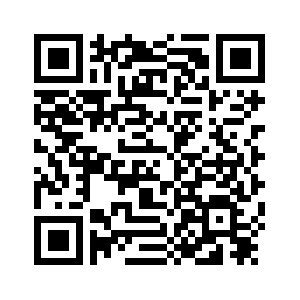 So we believe that this kind of cooperation will bring us more fruitful achievements," he added. The complete list of the 796 relics has not been released yet, but an NCHA official earlier revealed that they "are of abundant variety and generally high value," as reported by China Daily. Wu Min of the NCHA's museum management department said that the artifacts were relatively well-preserved and covered a wide spectrum of Chinese history ranging from 5,000 years ago to the early 20th Century. 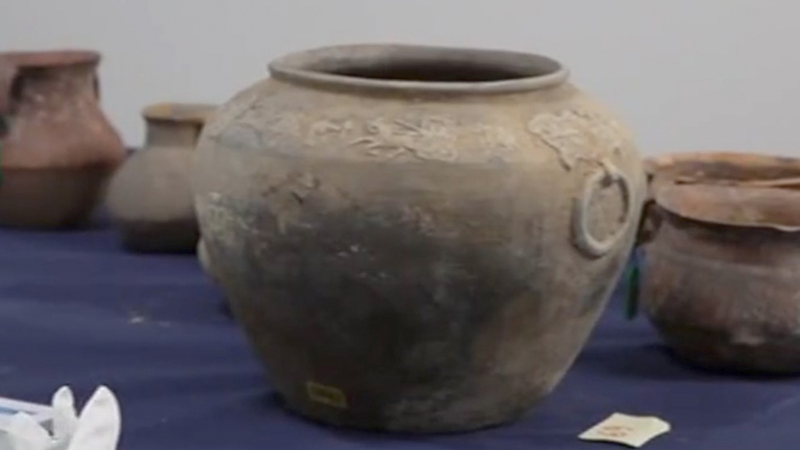 The NCHA further revealed that among the relics is a pottery jar from where it is known as China's northwestern Gansu Province that can be dated to the Majiayao culture, a Neolithic culture from the third millennium BC. In addition, there are pottery figurines from the Han (206 BC to 220 AD), Tang (618-907) and Ming (1368-1644) dynasties and a porcelain bowl from the Song Dynasty (960-1279) from southeastern Fujian Province.